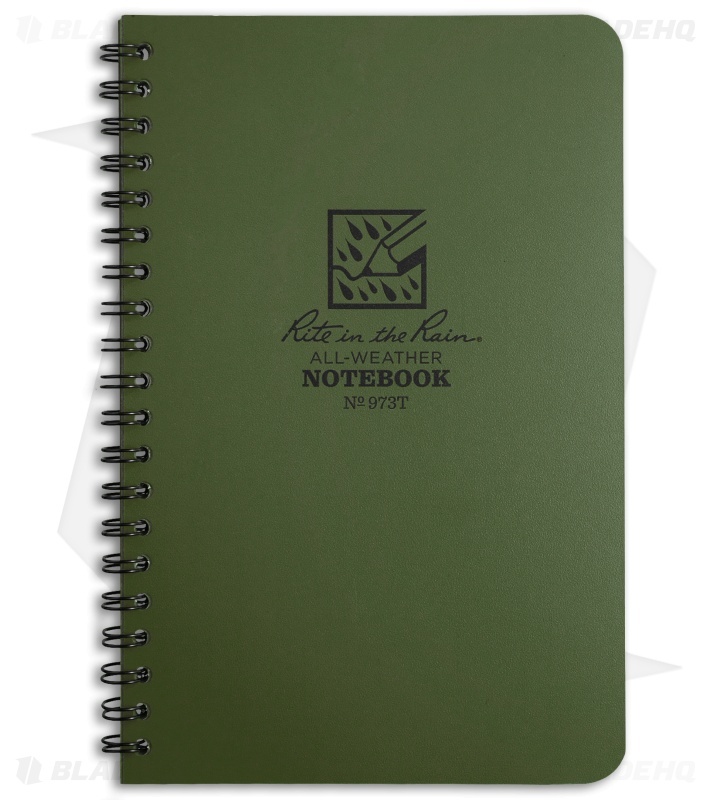 Rite in the Rain notebooks were designed to withstand the elements while keeping your notes safe and dry. Invented in the 1920's to address the problem facing loggers in the Pacific Northwest, Rite in the Rain has grown to be the #1 choice in outdoor writing gear. 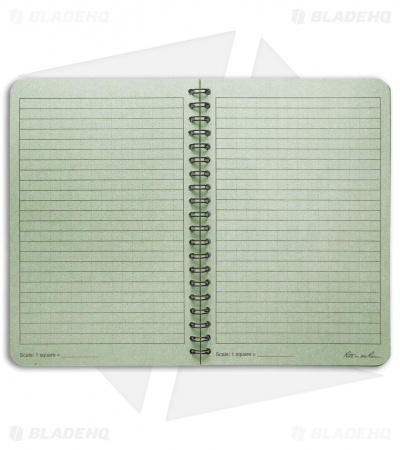 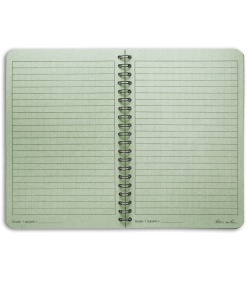 This Universal notebook has green Polydura covers that feature a side spiral binding. It is 4.5" by 7" and has 32 sheets of lined Rite in the Rain paper, with a Universal page pattern. 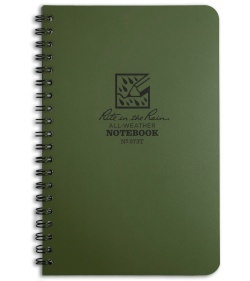 Defy mother nature with the All-Weather notebooks from Rite in the Rain.